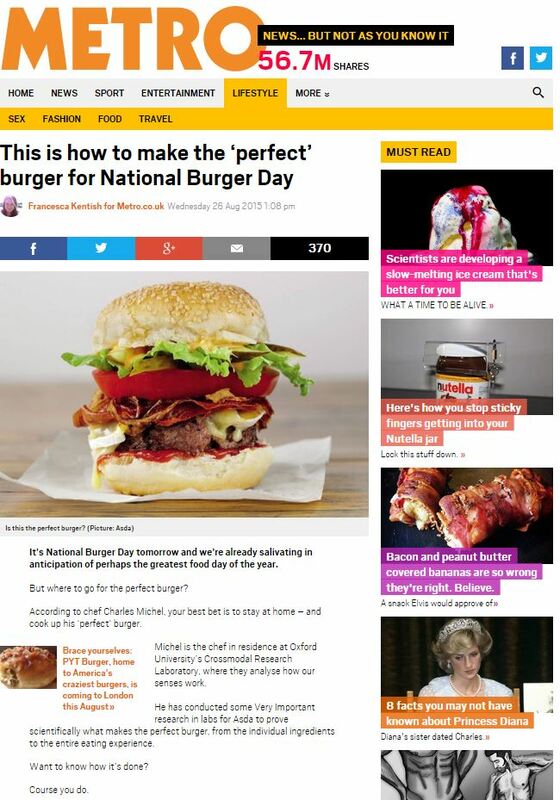 The news was ablaze last week with talk of the scientifically-perfect burger, although what else can you expect on ‘National Burger Day’? 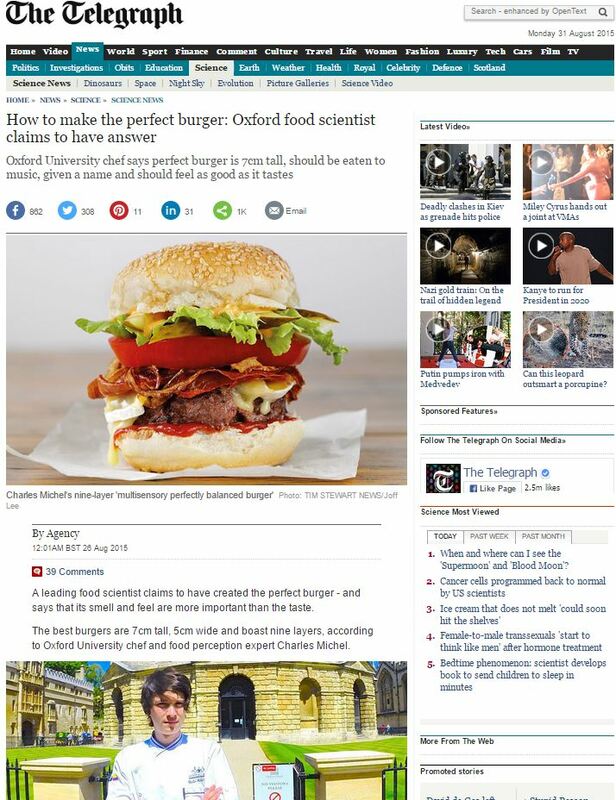 Oxford University chef says perfect burger is 7cm tall, should be eaten to music, given a name and should feel as good as it tastes. A leading food scientist claims to have created the perfect burger – and says that its smell and feel are more important than the taste. The best burgers are 7cm tall, 5cm wide and boast nine layers, according to Oxford University chef and food perception expert Charles Michel. Making a delicious burger may seem as simple as whacking a beef patty between two sesame seed buns and finishing adding a slice of iceberg lettuce – but scientists are now begging to disagree. According to new research commissioned by Asda, a great hamburger should stimulate all the senses including sound and feel. 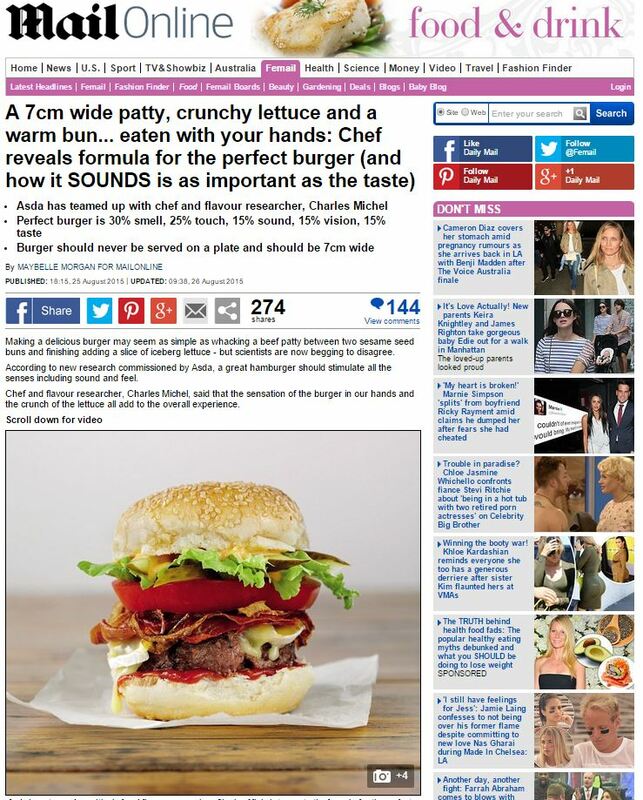 Chef and flavour researcher, Charles Michel, said that the sensation of the burger in our hands and the crunch of the lettuce all add to the overall experience. 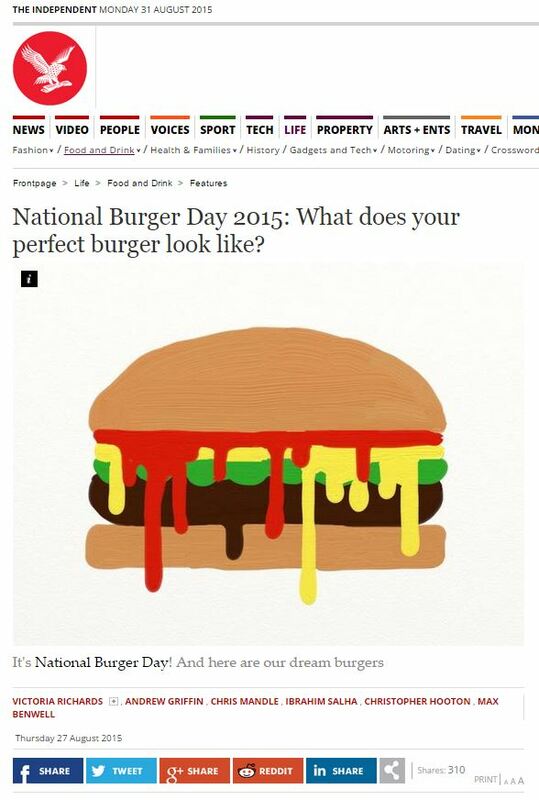 National Burger Day 2015: What does your perfect burger look like? In a now annual tradition, today we gather together, slap meat into a sliced piece of bread, and stick it in our mouths. Here are the burgers we dreamt of waking up to, on National Burger Day morning — and our pick of our favourite real ones. It’s National Burger Day tomorrow and we’re already salivating in anticipation of perhaps the greatest food day of the year. But where to go for the perfect burger? According to chef Charles Michel, your best bet is to stay at home – and cook up his ‘perfect’ burger. Michel is the chef in residence at Oxford University’s Crossmodal Research Laboratory, where they analyse how our senses work. He has conducted some Very Important research in labs for Asda to prove scientifically what makes the perfect burger, from the individual ingredients to the entire eating experience. 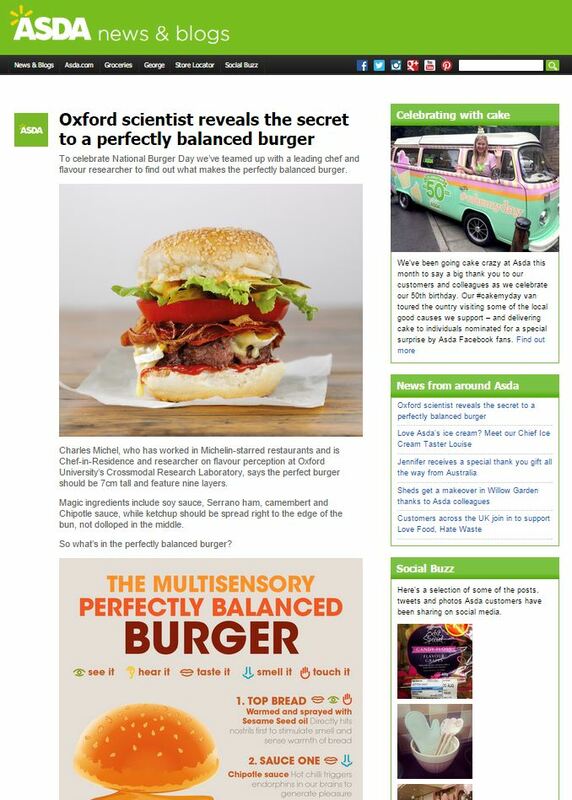 Mr Michel’s work was commissioned by supermarket Asda to celebrate National Burger Day on Thursday. No, indeed, this was merely a case of Charles Michel being employed to lend his name to a promotion by a supermarket chain. We can even see the full press release on the Asda website, including the infographic featured in the Telegraph and Daily Mail. Asda’s beef buyer Neil Moorcroft said: “Burgers have come a long way from a humble beef patty in a bun to a great British favourite and gastronomic dish. “Wagyu burgers are full of flavour, texture and have a decent amount of fat to carry burger smells to our nostrils. It’s important to us to support food innovation and offer customers something new. As for the scientist, I’m not sure Oxford University would relish their name being bandied around quite so cheaply. Yes, relish. This entry was posted in ASDA and tagged asda, Charles Michel, daily mail, Francesca Kentish, independent, Maybelle Morgan, metro, Neil Moorcroft, telegraph on September 3, 2015 by Michael Marshall.